Hi Siestas! 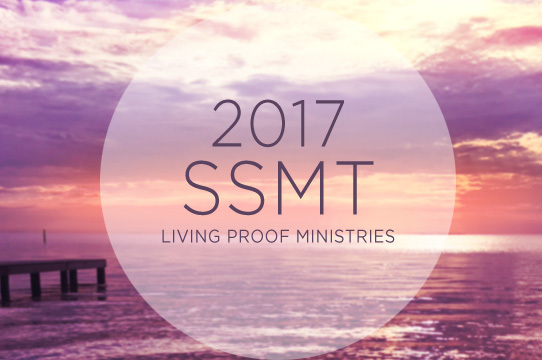 We know you are eagerly awaiting the announcement of the SSMT celebration (we are too!) It would be fantastic help if you would answer a few quick questions (by August 3rd), which will help us so much with the fiesta planning! Click here to fill out the form (one per person). SiestaFiesta 2008 San Antonio from Rich Kalonick on Vimeo. Here are the username and password so y’all can see Rich’s pictures until we get the slideshow up and running. Thanks! Rich just sent me this panoramic he made of all the Siestas together. I have a couple of links for you today. First, for those of you who attended the Siesta Fiesta, go here to download the group pictures that Rich Kalonick took for us. They are full resolution and printable. Use the username and password you were given on Saturday and make sure they are typed in lowercase letters. Second, if you have written a Siesta Fiesta recap on your blog, you can put a link to your post on the LifeWay All Access Blog or on Kim and Patty’s Siesta Fiesta Blog. It’s been really neat to read all the posts about the weekend and see pictures. I honestly don’t know where to begin when it comes to my own recap of our big weekend together. I could not have imagined how fun it was going to be to meet all of you in person. What a thrill! I left with a big smile on my face and an ache in my heart for MORE TIME. So here’s my play-by-play. Mom and I flew into San Antonio and immediately met up with Melissa. We went to lunch at J. Alexander’s at the Alamo Quarry Market (such a neat place!). After that, Rich and Ron drove us to the Alamodome for Mom’s sound check and prayer time over the arena. When we walked in the dome, I honestly got dizzy and nearly fell over because of how massive the place was. Luckily the team had set up the event in one end of the dome and because of some giant curtains, it seemed like the appropriate size. I can’t even imagine that place filled to capacity. A few minutes later we checked into our hotel room. We happened to run into Melanie/Big Mama while we were unloading the car. She is so much fun. We had a little problem with my mom’s room because, hello, the people wouldn’t check out of her room! (And it was well past checkout time.) So she had to hang out with Melissa and me for a while. This was not a good thing because she needed some solitude to prepare for that night. Melissa needed a nap (having not slept at all the night before), so I called Melanie and asked if I could come hang out in her room for a while. We got to chat for a while about everything from how potty training is the great equalizer to her husband’s and my dad’s love of Texas Trophy Hunters magazine. I enjoyed it so much. Then it was time to get ready and head over to the Siesta Fiesta check-in! It was so exciting to walk up and see everyone in action. I got to meet Patty, whom I have corresponded with for about six years, for the very first time. How fun! I loved getting to meet so many Siestas as they checked in. What a joy to connect a face with a screen name! It seemed like just the blink of an eye before I was whisked away to dinner. Y’all know Pregnant Girl can’t skip a meal. I have to feed the fig/lemon/Nutter Butter/apple/baby! The conference began at 7:00. I have to say that the praise team was so anointed the entire weekend. Wow. I asked Travis at the end of the conference, “If y’all can sing like that, what must God sound like when He sings?” They led us right to the throne to worship the Lord. Mom taught on the theme of Inheritance. There are so many things she said that I can’t stop thinking about. It was a feast of the Word and personally, I left the conference feeling so loved by God. After the third session concluded, our family got to have a very quick lunch and prepare to meet with our Siestas. The Alamodome catering staff served us THE best quesadillas I’ve ever had in my life. Seriously. What is sad is that I can never go to a restaurant and find these quesadillas again. Travis was sitting next to me while I went on and on about their goodness and he said, “I am witnessing a blogable moment right now.” Truly. Travis, I hope I did not disappoint. The clock struck one before we knew it and it was time to begin! We went out into the arena floor where the Siestas had already gathered. They were arranged in smallish groups and Mom, Melissa and I just jumped in to each one while Rich did his magic with the camera. For the rest of the time, the Siestas sat in a section of seats and Mom, Melissa and I sat on three chairs on a platform. We gave away some door prizes and in the process met a Siesta who had flown in from Tokyo(!!! ), a Siesta who had been married 58 years, a Siesta with eleven children, a Siesta with my same due date, a Siesta who got engaged on Thursday night to a great guy on the Event Team, two Siestas who had road-tripped from Wyoming with “Miesta Moose,” a newlywed Siesta, and several Siestas who celebrated birthdays that weekend. We also got to meet three Siestas whose hard work, creativity, and leadership made the weekend all that it could be. We spent the rest of our time doing a Q&A session. I don’t know what it was like to listen to from the Siestas’ end, but we had a lot of fun doing it. And I will always remember that Baby Jones #2 received his or her first gift at the Siesta Fiesta. It is a very soft and very precious blanket with little giraffes on the four corners. It is monogrammed to say, “Shh… I’m taking a Siesta.” How fun is that? I will treasure it forever. Before we knew it, our time was up. We had to get in the minivan and head to the airport. The Four Original Moores talked all the way home about the great weekend God had given us. He was so faithful! Thank You, Lord! Huge thanks to our ministry director Sabrina and to all of our co-workers who helped us through the registration process amidst my transition to working part time. Thanks to everyone at LifeWay who put many extra hours of work into planning and executing the Siesta Fiesta. You girls (and guys) were incredible. Thanks to Holly for making the amazing cookbooks that contain tons of recipes from this blog and that will help drill a water well through Life Outreach International. Last but certainly not least, thank you, thank you, thank you to Kim and Patty and their team of volunteers who did everything in their power to help the Siestas make the most of their weekend together. T-shirts, tote bags, lunch, a riverboat cruise, sign-in, name tags, the pajama party…oh my word! We Siestas are so blessed by you! We appreciate the untold hours of planning, work, and prayer you invested in our weekend. And thank YOU, Siestas near and far, those we’ve met and those we haven’t yet, for enriching our lives so much. We love all of you to pieces! P.S. I just spoke to my mom and she sends all her love. She says she keeps picturing your sweet faces! Living Proof Live – San Antonio from Rich Kalonick on Vimeo. *We had an incredible weekend in San Antonio with “The Lone Star” of the Lone Star State. Praise God! Thanks to everyone who was praying. We’ll have pictures from the Siesta Fiesta on Tuesday night or Wednesday morning. I’ll have more to say by then but I am still recovering! My parents are on vacation this week. They need it so bad. Thanks so much AGAIN, Rich! Have a blessed Sunday, everyone. It’s Finally Here! The Siesta Fiesta! Yahoo-Jah! Amanda and I are packing a few last things this very second and Melissa is already at the airport in Atlanta. It’s Siesta Fiesta Time in San Antonio, Texas!! We are beside ourselves to see all of you who can come and will miss every last one of you that can’t. We’re going to raise the roof of praise in the Alamo Dome, do some synchronized diving into the glad river of Scripture then hug us as many Siesta necks as we can at our Saturday afternoon gathering! Lord, cause the WHOLE BUILDING to join together and rise to become a holy temple in You. And in You let us all be built together to become a DWELLING IN WHICH YOU LIVE BY YOUR SPIRIT! Wave the banner of Jesus’ Name over San Antonio, Abba Father. I love all of you so much. Fight the good fight, young ladies. Fight the good fight!! First, I want to make sure you know that the last day to register for the Siesta Fiesta gathering is July 22nd, so it’s coming up really quickly. Mind you, this is not the last day to register for the Living Proof Live event in San Antonio. I’m only referring to our Siesta get-together. *If you want to come but haven’t registered, please do! You can get more info and register by following this link. *If you’re already registered but have realized you’re not going to be able to come after all, please let us know to cancel you for the Siesta gathering. We really need an accurate head-count to make the proper arrangements. Please email us at blog@lproof.org. *My last request concerning the Siesta Fiesta is hard for me to say but it really needs to be said. Please help us keep the Siesta gathering strictly for the blog community. Please don’t sign up groups of women to come with you that don’t participate in our blog. Those are the people we want so much to come to the actual Living Proof Live event and can hardly wait to have them! Bring them on! Unbelievers and believers alike! Anybody and everybody! The Siesta Fiesta get-together, however, is meant to give you bloggers a chance to get to know one another face-to-face. It is being sponsored only for this blog community. Our purest intention is community and not exclusivity. We just want to have a little family reunion of sorts for the women that have gotten to know each other here. Thank you so much for understanding! Let’s keep our hearts pure about this from every side. The second thing I want to share with you is pounding in my heart. I don’t have time to write it with my deadline coming up (by the way, your prayers are working! keep them up!) but it’s going to consume me if I don’t. I’m just going to take a very general, short stab at it and hope to feel the relief of getting it out there. My prompting for this word is not coming from the blog community. It’s coming from requests that have swamped our ministry office recently and that we have gladly and compassionately received. The common denominator has been the same: women just totally out of control and doing some really foolish things. I’ve been one of them so I recognize some of the symptoms. And the cries for help. And the misguided desires for the kind of empathy that pats them on the head and says, “Who could blame you? Go right ahead.” Because I love you so much, I want to share what the Holy Spirit is impressing on me in case it resonates. Listen here, Girls. If this shoe doesn’t fit, don’t wear it! Shake it off and know that it’s not for you. But, if it does, be courageous and respond in obedience to God. Let me remind you before I dive into this that God pulled me from the deepest possible pit of sin and no one has been more tightly clutched by strongholds than me. Not one bit of this comes to you from a proud or condemning heart. It comes strictly from love and concern and as one who could have used this word along the way. So here it goes. *If we’re married and we’re flirting with somebody at work (calling it harmless), we need to stop it. *And, Lord have mercy, if any of us are having affairs, we need to stop it NOW. With every second that goes by, the consequences are mounting. Please do not let the enemy trick you into thinking you’re getting away with it. You’re not. Don’t rationalize it. Don’t tell me what a jerk your husband is and how you’re finally in love for the first time. Get some fear of God and stop it. *If we’re being a brat about something, we need to stop it. *If we’re still punishing somebody for what they did to us, we need to stop it. Enough is enough. Let God deal with them. *If we’re trying to do God’s job with somebody, we need to stop it. I say this as a woman to whom sometimes a brief, “STOP IT NOW!” works better than anything. I love you so much and I want all of us to live in the full blessing of God that only obedience can invite. His will is for us, Siestas. Go with God on this or things are going to get really ugly. Take the warning and stop. Ladies, our siesta Holly/CrownLaidDown is compiling a cookbook from the recipes we have all shared on the LPM blog. Isn’t that fun? You can find out all the details (cost, how to get one, etc.) on Patty and Kim’s Siesta Fiesta blog, specifically here and here. The cookbook is going to help raise money for the drilling of a water well through Life Outreach International. Isn’t that awesome? You may recall that my parents have done some mission trips to Africa through LOI. (Read here and here.) In fact, they are at the Life Today studios taping some programs this weekend. Holly will not publish any of the recipes without getting permission first. If you would like the recipe(s) you’ve posted to be included in the cookbook, please email her directly with your recipe at chrishollysmith@msn.com or simply write “yes” in a comment. She will match your comment to recipes that have been posted. If you do not comment or email Holly, she will not use your recipe. Holly also needs some pithy family sayings to go along with your recipes, about 32 words or less, including some good advice or just downright funny things your family or your grandma says. You can include these in your comments or emails. There will be a contest for the cover design in case anyone is interested in participating. Once again, check out Patty and Kim’s Siesta Fiesta blog for details. Surely we have some artists out there! Have a great weekend, everyone! Hi ladies! I just want to touch on a few things this morning since some very good questions have come up regarding the Siesta Fiesta. If you missed Wednesday’s announcement, check it out here. -The registration for the actual Living Proof Live event is completely separate from the Siesta Fiesta registration. Anyone attending the Siesta Fiesta needs to register for both. (The Siesta Fiesta is free, by the way.) Please note that there were no problems with the LifeWay event registration and if you have already registered for the conference itself, you do not need to do it again. The only problem was with the contact info we had compiled from our bloggers for the Siesta Fiesta. -If you are attending the conference with a group, it is totally up to you whether you sit with your group during the conference or whether you sit in the reserved Siesta section. Regardless of where you sit, if you have an arm band you are welcome to attend the reception after the conference. -If you would like your mom or sister or best friend to sit with you in the reserved Siesta section and attend the reception, please make sure they register for the Siesta Fiesta so they can get an arm band. However, if you would like to register a group of additional people who aren’t familiar with the blog, please consider that we would like to keep the size of the reception manageable and the activities specific to our blog readers. That’s why we are not advertising the Siesta Fiesta to everyone at the event. Thank you in advance! -There will be an hour break between the end of the conference and the start of the Siesta Fiesta reception. Beth will need that time to decompress and scarf down some lunch. Kim and Patty are looking into pre-ordering some box lunches for anyone interested. You would be able to pay for them online using PayPal. Aren’t those girls awesome? That is a good reason to stay tuned to their blog. -For your convenience, I have provided a permanent link on our blog’s side bar to the Siesta Fiesta registration post and to Kim and Patty’s blog. -The reserved seating section will have some wheelchair accessibility. If possible, please let me know of your need beforehand so that we can be sure to accommodate everyone. -I’m so sorry for those of you who won’t be able to make it! Know that while we can’t do an official blog meetup at every event, you ladies can arrange your own meetups at any time. I know from just reading your comments that this has happened a number of times at different events. Would anyone like to share? If you have any other questions, please send them to us at blog@lproof.org. We are working on some answers to other questions we received and I will update on those as soon as I can. Thanks, ladies! We can’t wait! Ladies, the Siesta Fiesta is less than four months away! We are getting super excited about it. I need you to know that we had a little problem with our Siesta Fiesta registration. Remember how we had all of you who were going to attend send an email with your contact info to a certain address? Well, unfortunately, all of that information was swallowed up in a black hole. Let me put this in Jackson terms: Bye bye contact info. All gone. Yes, there was weeping and gnashing of teeth. We are so sorry. The good news is, there is plenty of time to start over. 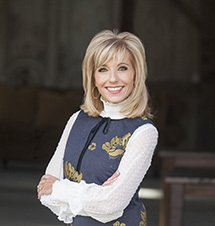 Between now and July 22 (one month before the conference), we desperately need all of our blog readers who are going to attend the Living Proof Live event in San Antonio, Texas, on August 22-23, 2008, to re-register for the Siesta Fiesta. Here are some details for you. WHY: So that we can fellowship with our siestas in person! HOW: Registration is now closed. *In August, everyone who has registered for the Siesta Fiesta will receive an arm band that will get them into a reserved seating section. (This is in addition to the arm band you will receive when you register for the conference itself.) About an hour after the conference ends on Saturday, we will have a reception on-site at the Alamodome with all the Siestas. We absolutely cannot wait to meet everyone! We will be in touch with more details in early August. *Two siestas, Patty and Kim, have created a blog to help the siestas communicate with each other about the weekend. Thanks, ladies! Patty and Kim are not employed by LPM or by LifeWay, but we do think they are amazing women. We’re grateful that they are helping everyone make the most of their opportunity to fellowship with each other during the big weekend. Visit www.thesiestafiestablog.blogspot.comto see what they have going on. I think that’s about it for now! We can’t wait to meet you! P.S. Leave us a comment after you’ve registered! Hey, Siestas! I moderated comments (thanks for the applause!) during Camper’s bunk time and now he’s up so I just have a few minutes while he plays right here in front of me. You’re absolutely right. I am kid crazy! But, I am also nuts about serving Jesus to women – all ages, shapes, denominations, types and sizes – and I couldn’t help but think that I wish some of you who could really use a break could have camp yourself! I wish so much I could fix some of you extra weary and discouraged siestas a hot fudge sundae on homemade vanilla Blue Bell and tell you how much you mean to Jesus and how vividly He wants to speak to you through His Word. I don’t see that happening very soon but I’ve been thinking about something ever since several of our blog siestas have written about having met up at events. It’s not nearly as good as camp (that would be a total blast but finding a way to do it would be nuts!) but wouldn’t it be fun if we could choose a central United States location of a Living Proof Live event in 2008 for regular bloggers (who could) to attend? At this point this is totally theoretical but I’m going to look into whether or not there would be a way to set aside a certain amount of tickets for a specified event and hold them only for a certain amount of time. I might even be able to get a section set aside at the event (my staff is going to kill me for throwing this out there but keep in mind, it’s just a wild thought at this point) so you guys could sit together and see each other face to face. If it worked, we’d choose an event in time enough for all of you to save up your money for tickets, travel, and lodgings. I know it would be a lot of money but with time enough in advance, maybe you could set some aside. Maybe some of you could make a full Saturday out of it and get with some of the people you’ve really connected with. It’s just an idea but let’s see if God shows us in months to come that it was His idea. *Quality time with Camp Cook (aka: Paw Paw Keith) – consisted of much rolling around on floor followed by a cartoon while cuddled up with blanket on Cook’s comfy tummy. *Lunch at a great burger joint with LPM staff aunties who all made very big over our little dude. We are baby folks around LPM with several young mommies on staff and we make a very big deal over their little ones, too! *A field trip to Barnes and Noble because Camp Director is a book freak and wants Camper to be one, too. We got some new interactive toddler selections for camp. *Our standard puppet show with stuffed animals when Camper first wakes up from his nap. After he rubs the sleep out of his eyes, he stands up in his crib and points to a stuffed bear and puppy so that Camp Director will put on a show. It’s a hit every time. You guys be blessed and have a little camp time with your Father. He loves you so and I’m so honored to be able to remind you of that. PS. I don’t make a habit of answering to specific blog comments because I’d never be able to keep up with them but I feel the need to call back to something. Darling Ones, never ever go to the wasted energy of feeling jealous over me or my family. We are people delivered from cavernous pits. People you couldn’t have even respected in our past lives. Rich in strongholds and deep in sin. Miracles if you’ll ever meet them. And we still have plenty of challenges and issues. We’re still super connected with real life and we bruise and bleed often. We still get our feelings hurt at each other and have hard days. Fellow sojourners. That’s all. What we have of any success whatsoever, anybody can have. JESUS. He’s it. He’s everything. I love you. And, yes, I got a fresh tan today. Heehee.